Champion yachtsman Loïck Peyron has won oceanic races before, but this time he is looking to the past for an inspiring, potentially dangerous adventure. Loïck Peyron will spend the next month crossing the Atlantic Ocean, something he has done several times before. But this time, he will never be exactly sure of his position. He’ll rely only on the same devices that sailors hundreds of years ago used to steer their ships. The 56-year-old French sailing legend wouldn't have it any other way. "I'm looking forward to the beauty of the uncertainty," he said during a Friday evening Skype call. "Not knowing exactly where you are in the middle of the sea is something I want to feel again." 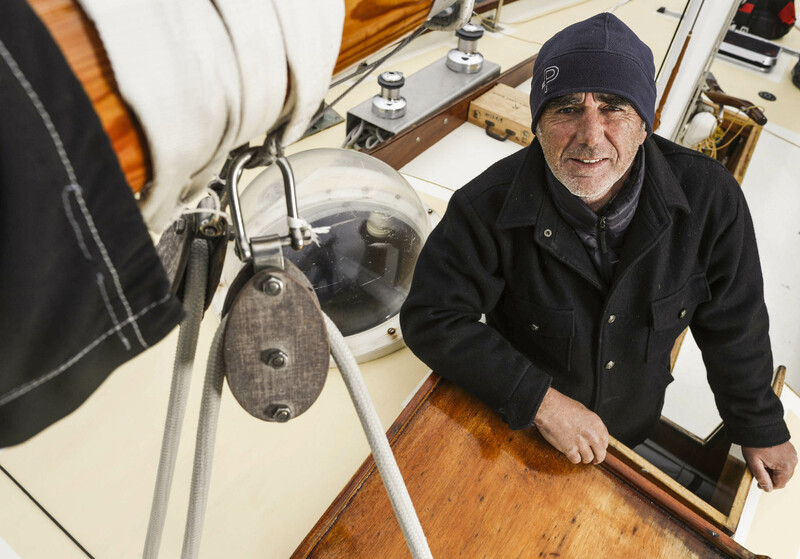 Loïck Peyron onboard the classic yacht Pen Duick II on which he will complete the solo transatlantic race. Peyron will be sailing alongside in the Transat, the oldest solo ocean race in the world, which begins Monday. He's won the competition three times, in 1992, 1996, and 2008, the last time the Transat took place. 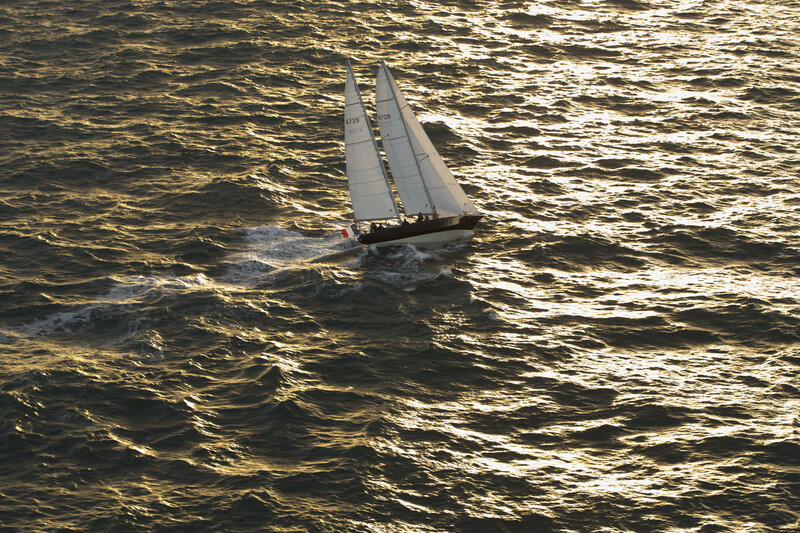 This year's winner, who will be sailing in one of the race’s giant, $9 million-plus trimarans, which can reach speeds of 50 knots, will likely cover the 3,000 miles of open ocean from the south coast of England to New York City in no more than eight days. Peyron, who currently holds the Jules Verne Trophy given to the fastest circumnavigation of the world by any type of yacht, will not be that winner. 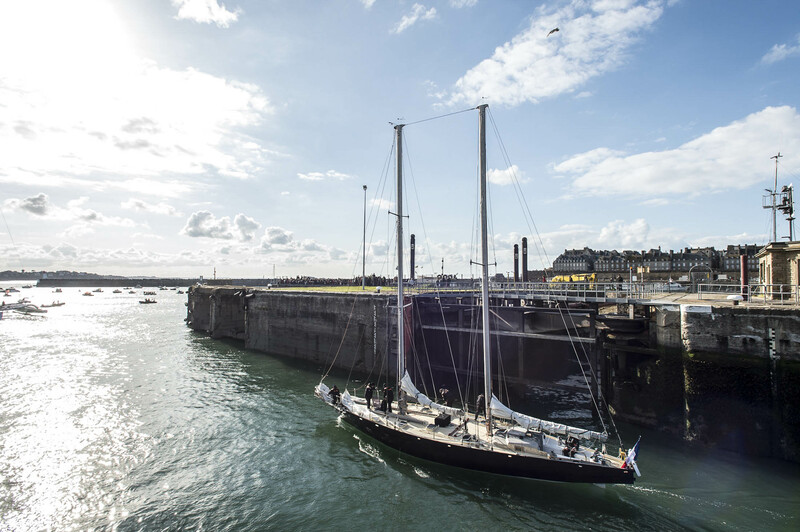 The Pen Duïck II leaving Saint Malo for Plymouth. Rather than sail in an ultrafast ship, the Frenchman opted to race Pen Duïck II, the same yacht his countryman Eric Tabarly used to win the race in 1964. That victory remains important more than 50 years later. "Everything in French sailing starts in 1964," Peyron said. "I wanted to do to this as a tribute, as an homage, to [Tabarly]." 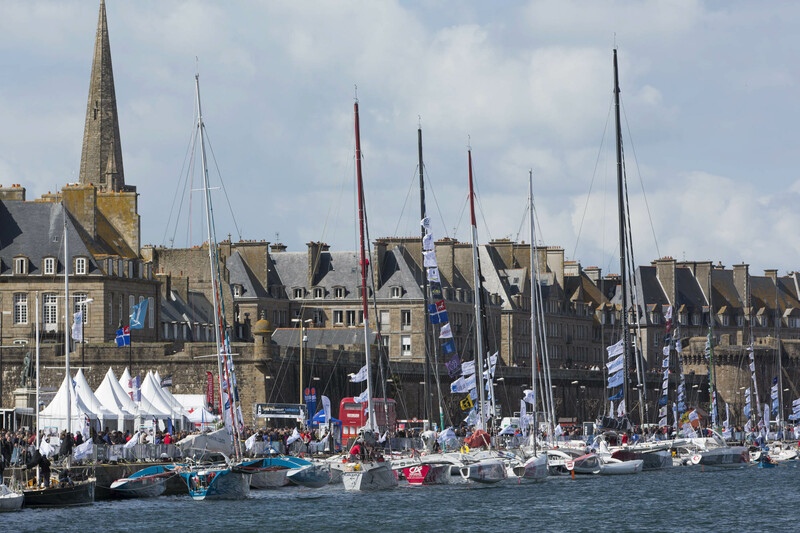 The state-of-the-art trimarans that will compete in the official Transat this week, docked earlier in St Malo. France. The skipper plans to navigate the historical way, too, using a sextant that's custom-built for the trip by the last person in France making the devices. He won't have a modern GPS tracking system, relying instead on charts and a "little Casio-style calculator to calculate my position based on the sun or the stars," he said. While Peyron will use a barometer to measure pressure changes in anticipation of changing weather, he'll lack any forecasting system that's connected to the mainland via radio or Internet. For the most part, he'll be completely alone, a speck working his way west. The Pen Duick II preparing for the Transat. The lack of modern technology presents some danger. Ice and fog are the main issues sailors face, and he'll be unaware of what's ahead. But in other ways, Pen Duïck II is safer than the modern racing vessels. The slower speed allows more time for Peyron to react to anything in his way, and there are fewer fragile instruments that can break. In a nod to safety, he will have an Automatic Identification System to avoid other vessels, as traffic in the North Atlantic has dramatically increased since the first occasion of the race. For the most part, however, it will be Peyron, his skill, his wits, and his boat against the ocean, just as it was when he first soloed across the Atlantic at 19. It won't be a speedy voyage in Pen Duïck II. Although the ship was an engineering masterpiece 50 years ago—both longer (more than 40 feet) and lighter (due to its plywood construction) than the other boats—it is now generations past its competitive prime. Peyron hopes to beat the legendary Tabarly's time from 1964: 27 days, 3 hours, 56 minutes. By comparison, it took Peyron himself 12 days, 8 hours, and 45 minutes to sail from Plymouth to Boston when he won in this same race in 2008. Peyron has a plan for the downtime: He hopes to catch up on his reading. In a typical race, he doesn't have time for books; the boats are too fast and require constant attention. Alone in the middle of the ocean on the Pen Duïck II, he expects to have hours to kill, and he packed accordingly. "I brought everything," he said. "I have to finish a book about Keith Richards that my son gave to me. I have another one on Winston Churchill. I have some sailing adventures about the 16th century. And a lot of [Joseph] Conrad. I love Conrad." Peyron's Transat quest isn't quite a Conrad novel. It is an adventure, one designed to honor sailing's rich history while drawing attention to the present and what's coming soon. "It's nice to have one foot in the future and one foot in the past," Peyron said.